The personal spaceflight revolution isheaded for a liftoff this October in New Mexico. Officials of the X Prize Cup announcedtoday in Las Cruces, New Mexico that a roster of rocket activities will take to the air October4-9 at various locations in Southern New Mexico, including Las Cruces and Alamogordo. 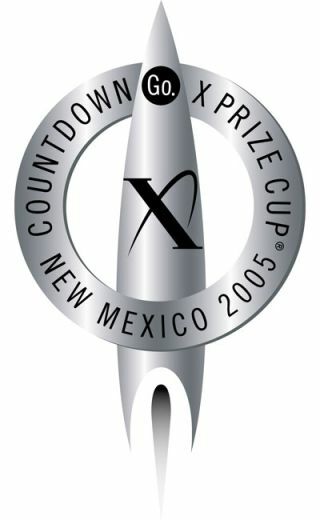 Last April, New Mexico Governor Bill Richardsondeclared the October dates as X Prize Cup Week in New Mexico. He noted that it would be a week-longshowcasing of personal spaceflight projects, test-flight activities,educational outreach, as well as aircraft fly-ins and tributes to the historyof the state's unique role in space exploration. Now onboard and ready to show their waresat the upcoming Countdown to the X Prize Cup are such entrepreneurial rocketgroups as: Armadillo Aerospace, XCOR Aerospace, Starchaser Industries, The daVinci Project, TGV Rockets, as well as organizations that will blast offnumbers of homebuilt rockets. The Countdown to the X Prize Cup is preludeto a yearly event designed to spotlight the emerging personal spaceflightbusiness, said Peter Diamandis, Founder and Chairman of the X Prize Foundation. Last year, Mojave Aerospace Ventures, ledby Burt Rutan and Paul Allen, built and flew the world's first privatespacecraft - SpaceShipOne -- to the edge of space. Thanks to back-to-backflights of the piloted rocket plane, the Mojave, California-based group snaggedthe $10 million Ansari X Prize. "It isn't enough for the industry thatwe're all passionate about to just have a single vehicle," Diamandis said. "It's critical to build an industry that has a multitude of vehicles that areopening up the personal spaceflight industry," he said. Diamandis said that the vision is for thepublic to come to an X Prize Cup in the next few years and witness forthemselves over the course of four or five days as many as 50 flights to space. "That's the vision...that's the goal," he said. "This is your spaceflight program. Our goalis to grow to an event that does bring tens of thousands and hundreds ofthousands of people," Diamandis said. Several officials from groups taking partin the October festivities said they were drawing closer to flights of theirrespective vehicles. "We're looking to launch our first rocketinto space in October next year," said Steve Bennett, head of Starchaser Industries. At this year's event, the Bennett's Starchaser group is going to fire up a booster engine. And it is sure to be afingers-in-the-ears event. "This thing kicks out something likethree-tons of thrust," Bennett said. "We're looking at a flame of about 80 feetlong...lots of fire and smoke." Brian Feeney, team leader of the Canada-based daVinci Project, said "sometime in the summer of 2006 we'll be launching ourfirst manned flights to space." The da Vinci Project is displaying associatedlaunch hardware at the Countdown to the X Prize Cup. Jay Edwards of Rocketplane Limited of Oklahoma City, Oklahoma saidthey are bringing a mockup of their suborbital vehicle. They expect to start a flight test program of their craft inOctober of next year, with passenger flights to start in January-February 2007,he said. Also on hand at today's press briefing wasRuss Blink of Armadillo Aerospace. The group has committed to doing demo flights atthe Countdown to the X Prize cup event this October. "I'm one of the few people that haveactually ridden on one of the rockets that we've built," Blink reported, butquickly added: "I went three feet in the air...but I did come down safely. I'mputting that under my belt and I'm ready to fly up into space."